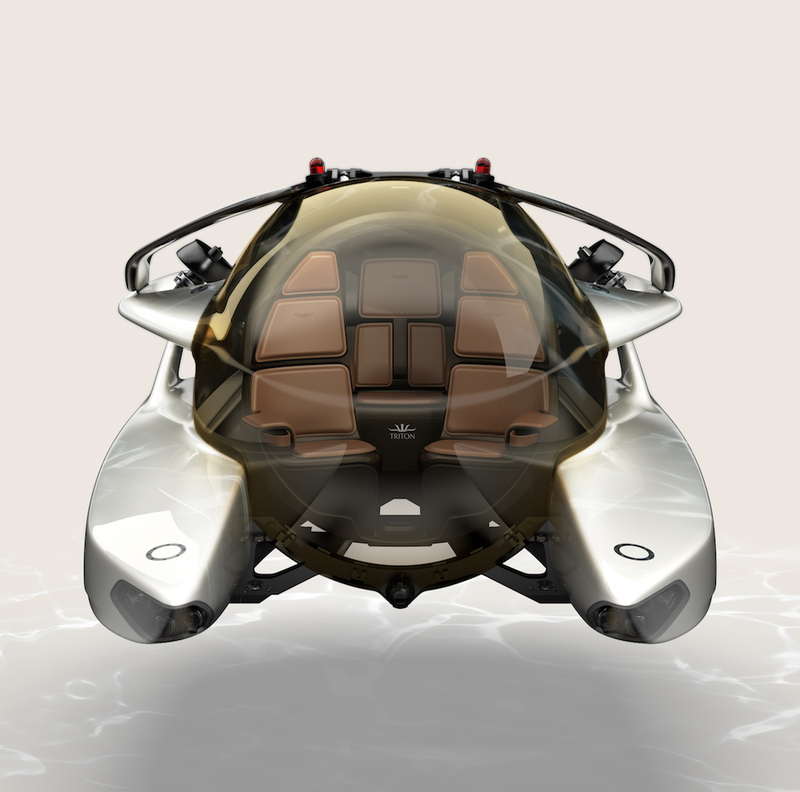 The three-seater underwater explorer represents Aston Martin's pursuit of performance. 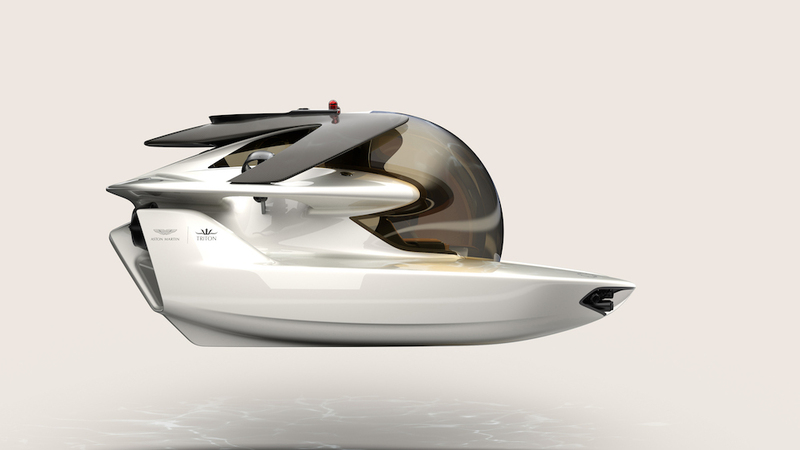 Project Neptune is the result of a partnership between the luxury British automaker and Tripton Submarines, and it aims to offer prospective buyers a level of quality and exclusivity that's never been offered in this kind of vehicle. Marek Reichman, Aston Martin's chief creative officer has gone as far as comparing the Neptune to the brand's Valkyrie hypercar in the sense that it "pushes the boundaries of physics in the pursuit of performance." 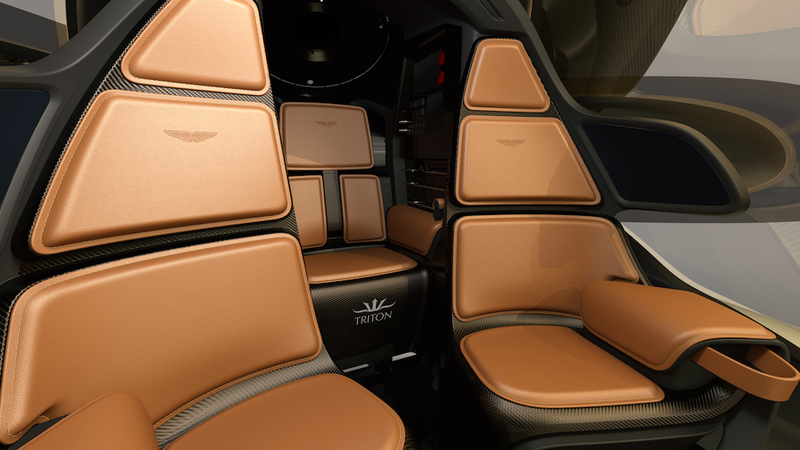 According to a statement released by Aston Martin, Project Neptune will feature a pod-like cabin that seats two passengers plus a pilot and offers a nearly 360-degree view of the ocean floor as well as its many scary inhabitants. 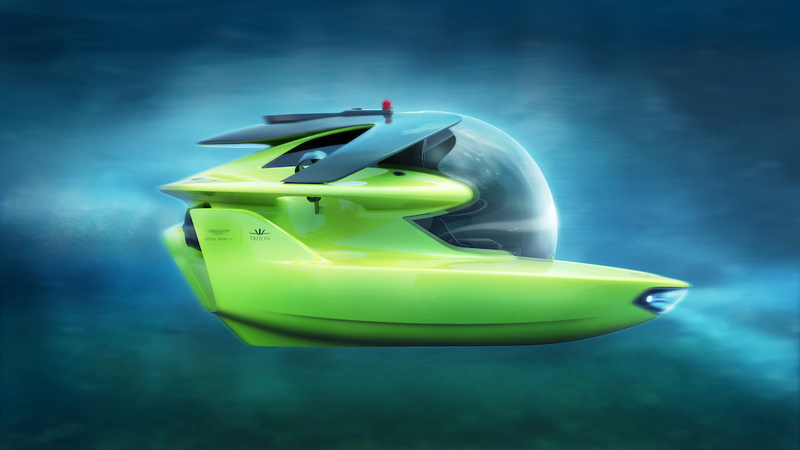 The swanky submersible will have an estimated sprint speed in excess of five knots (5.7 miles per hour) and will accelerate up to four times faster than Triton’s flagship submarine, the 3300/3 model. “Project Neptune is one of several carefully curated luxury projects we are working on away from the automotive space," Matthew Clarke, Aston Martin General Manager of Marketing and Communications told The Drive. "Projects of this nature enable us to further grow our brand into new aspects of the luxury world that appeal to both our existing and future customers." "We only get involved in projects of this nature when we can be involved in the design process from the inception and Project Neptune afforded us that opportunity," Clarke added. Prospective buyers will get a glimpse of several of Project Neptune's personalization options at the upcoming LYBRA Superyacht Show in Barcelona, Spain. We reached out to Aston Martin in hopes of finding out how much one of these James Bond-themed babies will cost, but we've yet to hear back.